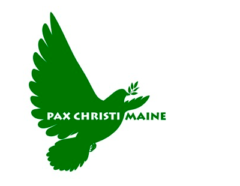 On Saturday April 6 th , members of Pax Christi Maine participated in the Lenten vigil at Bath Iron Works hosted by Smilin’ Trees Disarmament Farm in Hope. 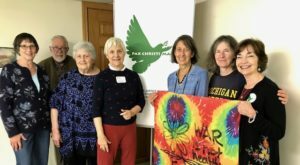 The vigil, which has been held during Lent and Advent for over 15 years, is a nonviolent action protesting the building of the Aegis destroyers at BIW, weapons of mass destruction that bring death and environmental destruction to many parts of the world. 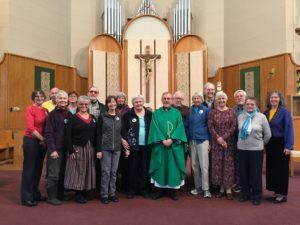 In recent years, activist efforts have been focused on urging BIW to convert to the manufacture of wind turbines, solar panels, high speed trains and other products that would improve life for our communities. 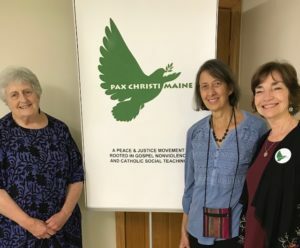 Others at the vigil were members of Veterans for Peace, the Quaker community, Global Network, COAST, Peace & Justice Center of Eastern Maine, Peninsula Peace & Justice, Maine Natural Guard and so on. The ‘christening’ of the latest destroyer, the L.B.J., will be held on Saturday April 27 th at BIW. 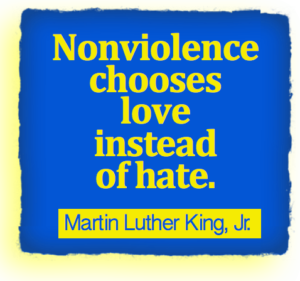 People of faith and conscience are encouraged to come to witness as several courageous peace activists will engage in civil disobedience. Please consider participating at BIW or leading a local gathering to bring much needed attention to the vast amount of tax dollars diverted for warship, leaving inadequate funding of education, childcare, healthcare, and basic income benefits for people living in poverty. improved? Have we become better citizens of the world? 480,000 dead; 244,000 civilians killed; 21 million war refugees and displaced persons. war to green technologies would benefit BIW workers and people worldwide.” I couldn’t agree more. We are so fortunate to have here in Maine the highly skilled men and women who work at BIW. Imagine what they could accomplish if they were able to build for life and not for death.